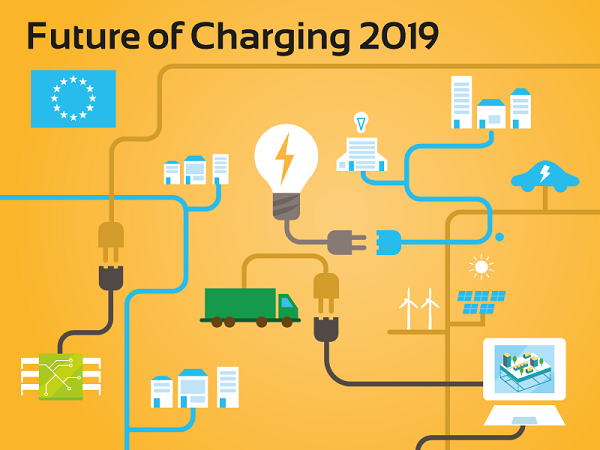 The 2 day international Future Of Charging Symposium 2019 aims to bridge cutting-edge academic research and challenges practitioners in the field; new insights and practical results will be delivered that support the very ambitious roll out of charging infrastructure for electric vehicles until 2030. Dates: 19 and 20 february. The speakers in this theme will not only debunk myths, they will provide practical insights on how to implement and use smart charging to establish a future proof energy infrastructure. The theory, the blockers and the opportunities for businesses and local governments to provide an optimal user experience and minimize complaints. The speakers will provide insight in market developments and scientific insights in use cases and EV capabilities. The second day of the symposium promises to be interesting. The program offers four exclusive deep dive sessions. Participants can join in one of three hackatons or a site visit. Hackathon 1: How to integrate Electric Vehicles Infrastructure in regional energy strategies? Host: eXentr. A regional policy challenge will be offered to be solved. Hackathon 2: Trucks from harbor to city. Host: TU/e. A port challange and a logistical challenge will be offered. Hackathon 3: Future modes of charging in an urban environment: destination charging or ultrafast charging? Hosted by City of Utrecht. Visit to EU project Strijp-S. Join Elaad and VITO in a site visit of Strijp-S to discuss next steps with integrating EV’s and flexibility in the urban energy system. Follow our website futureofcharging.com for updates and new insights.